So you are contemplating a career as a GIS professional? Or maybe your friends have been telling you to major in GIS because “that’s where all the jobs are!” So what exactly are some sample jobs and careers in the GIS field? Aerial Survey Pilot – I actually had this job for a brief period in my aviation career and it would have been very helpful to have a degree or certificate in GIS. Obviously you must also obtain the appropriate pilot certificates and experience, but being an aerial survey pilot is very rewarding. I enjoy computers as well as aviation, and those two interests served me well as an aerial survey pilot for a large GIS / engineering firm. GIS Degree / Certificate : Not required but either one helps. Cons: Travel. You can be gone for weeks/months for projects which can be hard on family. Insurance Industry – Believe it or not, many large P&C insurance companies use GIS systems to map out hurricane paths, flood zones, and use GIS analysis in order to position claim personnel. Welcome to What is GIS.com. This site, which has recently come under new ownership, is going to aim to help educate readers on the basics of GIS and how GIS can transform how you think about your data! Please stay tuned and keep this page bookmarked for future reference, we are just getting going! Spatial analysis of GIS has developed greatly in recent years and continues to advance. The GIS software market provides this analytical functionality, though choosing the GIS software that provides the extent of spatial analytical functionality you require up to you – but any good GIS software wil provide a programming or scripting environment to allow you to add anything proprietary or new. Regardless, the scope of spatial analysis is extensive and includes data modelling, topological modelling, network modelling, cartographic modelling, geocoding, geostatistics, map overlays and more. The ability to analyse your data is made possible via spatial and attribute data queries. The ability to use standard and to create your own queries of related spatial and attribute data is the key to effective analysis. Again, good GIS software will provide you with standard queries for common analysis or at least advanced functionality to easily manipulate data without having to write or select queries. Furthermore, advanced analysis will require more detailed queries, so good GIS software should provide wizards and simple query builders to allow you to perform your own analyses. The process of querying your data is simple – attribute data is initially queried and the relevant primary keys found These primary keys ar ethen used to query the spatial data, to complete the associate query required for both spatial and attribute data. For more example os spatial analysis please see, Wikipaedia andInformation Software Systems. The graphical representation of spatial and attribute data in GIS software takes the form of either raster or vector graphics. The differences between raster and vector graphics, as detailed below, effect the level of detail, visual appeal, speed of manipulating graphics and data storage space required. Aerial photographs and satellite images are generally in a raster format and are used in GIS to view a detailed map at a given extent or for the purpose of digitizing. 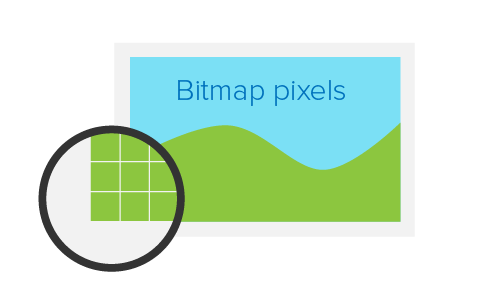 Raster graphics are predominantly used to display spatial data and use a grid-type architecture in terms of storing spatial and graphic value data. Vector graphics are commonly used to represent features like roads, rivers, housing, and the like using points, lines and polygons. Based on scalable vector graphics, vector graphics provide a linear and detailed approach to manipulating attribute data. Raster and Vector graphics are frequently used together. 1. Storage Space: Raster graphics require more storage space than vector graphics, as they store a location & colour value per pixel. 2. Detail: Raster images are more detailed within a given extent (“zoom”), however raster images become pixelated if too tight a zoom is applied. Vector images are less detailed, but maintain their original aesthetics regardless of extent or zoom. 3. Responsiveness: performance & responsiveness when manipulating vector image is faster than raster images, as the data structured used to render vectors is mathematically based whereas rasters requires the retrieval of individual pixel values and a manipulation of each pixel. GIS Data is the key component of a GIS and has two general types: Spatial and Attribute data. Spatial data are used to provide the visual representation of a geographic space and is stored as raster and vector types. Hence, this data is a combination of location data and a value data to render a map, for example. Attribute data are descriptions, measurements, and/or classifications of geographic features in a map. Attribute data can be classified into 4 levels of measurement: nominal, ordinal, interval and ratio. The nominal level is the lowest level of measurement for distinguishing features quantitatively using type or class (e.g. tree species). Ordinal data are ranked into hierarchies but does not show any magnitude of difference (e.g. city hierarchy). The interval measurement indicates the distance between the ranks of measured elements, but a starting point is arbitrarily assigned (e.g. Celsius Temperature). Ratio measurements, the highest level of measurements, includes an absolute starting point. Data of this category include property value and distance. Attribute data is the detailed data used in combination with spatial data to create a GIS. The more available and appropriate attribute data used with spatial data, the more complete a GIS is as a management reporting and analysis tool. Spatial data can be obtained from satellite images or scanned maps and similar resources. This data can then be digitised into vector data or maintained as raster graphic data. Essentially, any format of a geographical image with location or co-ordinate points can be used as spatial data. Attribute data can be obtained from a number of sources or data can be captured specifically for you application. Some popular sources of attribute data are from town planning and management departments, policing and fire departments, environmental groups, online media. Using GIS: What can you do with GIS? As a managment and analytical tool, GIS can help us do a great deal. From mapping where things are to indicating density by geographical area, the scope of what you can do with GIS is broad. Below are examples of what can be done with GIS. Consider your situation and figure out how GIS can be used by organisation and yourself. 1. Map Location: mapping where things are allows us to find where we are, where we are going and where a feature is. Mapping locations also allows us to recognise a pattern with regards regularly occuring features. 2. Map Quantities: mapping quantities allows us to understand activity or variable in an area. Mapping the most to least of a variable helps us make decisions and compare locations. Such comparisons could include crime stats, number of schools or percentage of people over 60 years of age. 3. Map Densities: Densities indicate the occurance of a feature or attribute of a location or area. Mappingdensity is useful where the concentration of heterogenous features is high, making visual patterns recognition difficult. Density mapping also allows feature and attribute mapping on a known and equivalent scale. Population maps are a good example of density mapping. 4. Proximity: Proximity mapping is simply idenifying features that are nearby to an identified features. This seems trivial, but when considering the possible flood area of a dam and identifying nearby features, like towns and national electircal infrastructure, help management and scenario planning. 5. Map Change: Mapping change is possible by comparing areas across the same variable but at two points in time. Such mapping allow behavioural understanding and antcipating future needs. The impact of an action can also be visualised when mapping change. 6. Ring-Fenced Activity: Identifying a particular area and identifying what features exist in that area and how quantities or densities change, allows us to understand a system. Specific action can then be taken for a specific area. GIS is being used in many industries and is helping organizations to perform more effectively, efficiently and to provide more satisfactory service. The use of GIS is also wide spread across the world – GIS is used in Florida to forecast weather and track storms, New Zealand to automatically generate aeronautical navigational charts, South Africa to manage water and solid waste and Ecuador to track milk delivery. 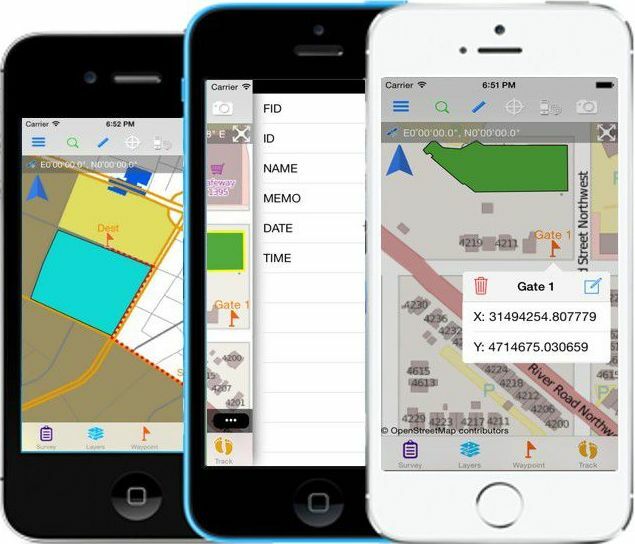 Build your GIS solution to gain the same benefits as shown by these other applications of GIS. Electric and Gas: A successful energy supplier must take advantage of all its resources. Equipment, facilities, crews, customers, and even system events have an aspect that can be associated with a physical location. Integrating GIS is making this possible. CenterPoint Energy, Inc. Texas, US,, uses GIS across its enterprise to save money and manage its assets more efficiently. Energy companies in more than 100 countries around the world, also uses GIS to model its electrical systems. Forestry: GIS provides foresters and natural resource managers with powerful tools for better analysis and decision making. GIS lets foresters perform tasks like long-term supply strategies, forecasting silvicultural stock, determining harvesting system options, and more. For example, IntelliGIS has been used as a building block within the South Africa’s forestry industry for a complete GIS solution. Insurance: Insurance companies have implemented GIS to visualize, analyze, and manage portfolio risk. Law Enforcement and Criminal Justice: Information about the location of a crime, incident, suspect, or victim is often critical in determining the manner and size of the response. Petroleum: Where to drill, route a pipeline, or build a refinery are all questions that rely heavily on an understanding of geography to make the right business decisions. GIS is widely implemented in these areas as well as petrol tanker tracking. Vendors of GIS software supply a host of software and upgraded or carefully targetted version of GIS software. Please consult with the respective vendors to learn more about their respective products. Some of the newer releases on the market are indicated here to help you find your way. Remember to look at our comparison of popular GIS software to help you to evaluate the best option for you. US$ 3000 (approx. )- new professional edition with CAD functionality & .NET programming. View our comparison of these popular GIS software solutions. GIS hardware includes: computers, computer configuration/networks, input devices, printers, and storage systems. Computers for GIS usage can be PCs at the low end, or supercomputers and X-Terminals at the high end. These computers can be stand-alone units or can be hooked into a network environment. To assist with source data capture & real -time GIS data, many companies are employing handheld technologies in the form of PDA’s and GPS units. The latter also affords companies the ability to track moving features, adding a new dimension to their GIS solutions. Input devices include digitizers and scanners. A digitizer is the device used for selecting features from a hard copy map, which are then registered to a coordinate system. Currently digitizing is the most common method for converting existing maps and images into digital form. However, this process can be tedious, especially when converting high-density maps. Scanners sometimes can replace digitizing by automatically converting hard-copy maps to a digital raster file. Once in a GIS, the raster image can be converted to a vector format through a “raster-to-vector” conversion. The third hardware component is the printer/plotter. These devices are used to produce a hardcopy map. There are several types of printers including: matrix, inkjet/bubblejet and laser. Plotter types include: laser, electrostatic, direct thermal and pen plotter. Finally, GIS storage systems include: optical disks, magnetic disks (such as a hard drive), floppy disks or magnetic tapes. Building your GIS solution requires deciding on and acquiring the necessary hardware, software and data to support your need. The success of any system implementation , which is particularly true of GIS, is planning! A key planning consideration is establishing the Startegic Purpose of the GIS solution for your organization. Such purpose guides the scope of functionality & output required of your GIS solution. Like all solution developments, requirements & specifications for your GIS needs should be established. In doing so, the data required and how it will be used to produce the necessary information output is determined. Effectively, you are designing the scope of the system in terms of data input, processing capabilities and output. The system scope define the tools – hardware and software – needed to make the solution a reality. When deciding on hardware, the nature of data capture (in-field or centralized), the accuracy tolerance and real-time vs delayed processing must be established. Remember, your hardware requirements for your GIS solutions should partner your existing IT infrastructure as far as possible. GIS Software is probably your must critical decision with regards implementing your solution. You need to match you system scope to the functionality of the GIS software options, consider cost-effectiveness of the investment and importantly the compatibility and scalability of that software selected. An investment into a product that exceeds your functional needs and locks you into a specific data type or model can be very expensive at the outset and in the long-term respectively. Implementation through acquisition, data capture and training should then follow to make your GIS solution a success.